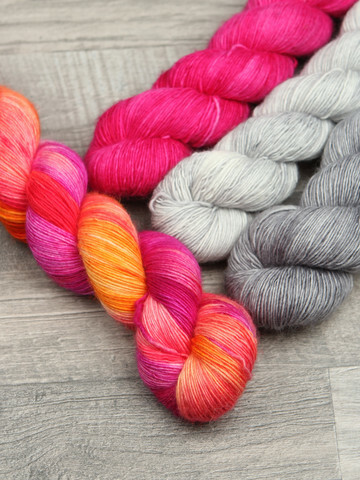 This combo package includes the Pinks: the medium grey Platina (Platinum) is combined with a light grey Hopea (Silver), along with bright pink Ärjy (Clamor) and the lovely new speckled shade with pink, orange and magenta, developed by Eeva-Leena of Villapesuohjelma, called Liljat (Lilium). Please note that all packages will be dyed to order and shipped on April 27th in time for the pattern and the KAL start on May 4th. 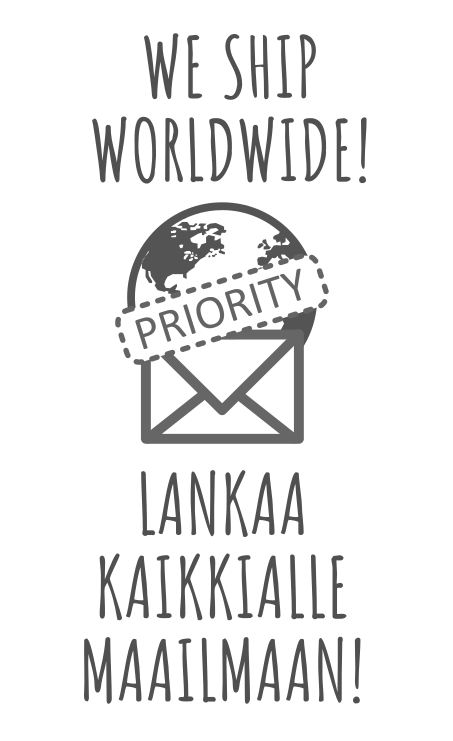 Finnish Customers: Please place your order by May 23rd in order to receive your yarns in time for the KAL start on May 4th.